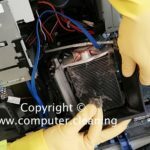 Computer Cleaning procedure is the redefining of the processes or the ways in which the PC cleaning is performed, to enable the effective removal of contaminants without adding unwanted substances to the environment or otherwise causing harm. We make the cleaning procedure as simple as possible for our computer cleaning clients. The cleaning process doesn’t start until all the requirements are understood, documented, and all prerequisite & conditions are met. 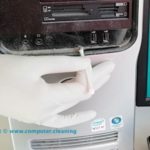 Computer cleaning occurs in various different contexts and uses several different methods. All cleaning-related information about the computers, desktops, keyboards, monitors, and telephones is documented in the form of “Method Statement” or “Standard Operating Procedure” (SOP) which states step-by-step procedures recommended by the leading computer manufacturing companies. The cleaning process is illustrated in simple understandable words before starting the cleaning service. 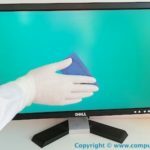 What is covered in a computer cleaning procedure document? Our computer cleaning procedure is a document written to support a “policy directive”. The procedure document is designed to describe who, what, where, when, and why by means of establishing corporate accountability in support of the implementation of a cleaning project. It also identifies the sequence of steps and specifies for each step what needs to be done, when, and by whom. 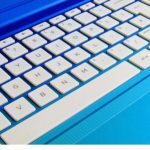 Before starting to clean computers and keyboards, read product and equipment labels and usage instructions. Wear recommended Personal Protective Equipment (PPE), which may include rubber or surgical-type gloves, goggles, dust mask or respirator, earplugs, or other equipment. The term “green cleaning” highlights the need to clean up the cleaning processes and products themselves, because many commonly used interventions contain, add, or leave environmental pollutants or may cause harm in other ways. Green cleaning benefits the environment, computer equipment, and helps protect people, especially vulnerable populations such as the elderly, the infirm, children, and the chemically-sensitive. Their long- or short-term exposure to toxic chemicals or harmful particles, gases, or vapours can have serious consequences such as asthma, allergies, depression, hormonal changes, or even cancer. The purpose of procedures, in general, is to serve as a cleaning order and training material. In addition, an important purpose of procedures is to ensure consistency. Our Procedures are designed to help reduce variation within a given cleaning process. Clearly stating the purpose of your procedure helps us gain employee cooperation or compliance, and it instils in our employees a sense of direction and urgency.